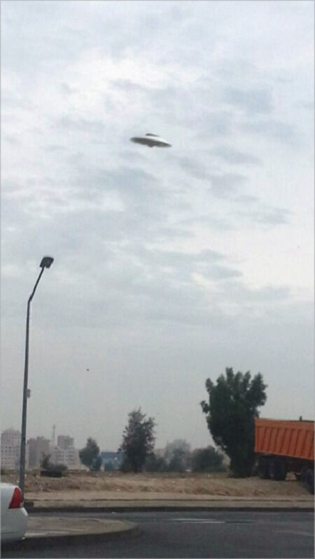 This strange disc-shaped UFO was photographed over Khaitan, a suburb of Kuwait City on 9th December 2012. What do you think this object is? Please leave your comments below. Another UFO post, another hilariously obvious Photoshop.<br />Newspapers and blogs need to stop reporting these and stop giving the trolls who made them the attention they seek. Can you please stop posting these type of posts you know this is done with an iPhone app. Just type UFO in the app store. That tree is not native to Kuwait. pasted on to a nice evening background goodtry as its been quoted silly posts .